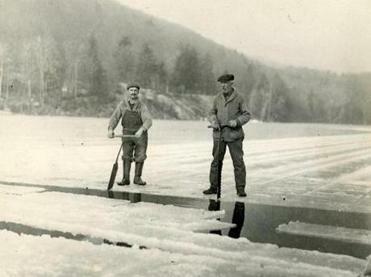 At a 1925 ice harvest in Maine, men separated the cut ice and guided it to an elevator at the ice house. SO A GUY FROM Boston walks into a bar and offers to sell the owner a chunk of ice. To modern ears, that sounds like the opening line of a joke. But 250 years ago, it would have sounded like science fiction—especially if it was summer, when no one in the bar had seen frozen water in months. In fact, it’s history. The ice guy was sent by a 20-something by the name of Frederic Tudor, born in 1783 and known by the mid-19th century as the “Ice King of the World.” What he had done was figure out a way to harvest ice from local ponds, and keep it frozen long enough to ship halfway around the world. Today, the New England ice trade, which Tudor started in Boston’s backyard in 1806, sounds cartoonishly old-fashioned. The work of ice-harvesting, which involved cutting massive chunks out of frozen bodies of water, packing them in sawdust for storage and transport, and selling them near and far, seems as archaic as the job of town crier. But scholars in recent years have suggested that we’re missing something. In fact, they say, the ice trade was a catalyst for a transformation in daily life so powerful that the mark it left can still be seen on our cultural habits even today. Tudor’s big idea ended up altering the course of history, making it possible not only to serve barflies cool mint juleps in the dead of summer, but to dramatically extend the shelf life and reach of food. Suddenly people could eat perishable fruits, vegetables, and meat produced far from their homes. Ice built a new kind of infrastructure that would ultimately become the cold, shiny basis for the entire modern food industry. Ice harvesting, once a thriving business, is now recreated at winter ice festivals. Though the 130 tons of ice that Tudor took to Martinique that year melted before anyone could do anything useful with it, the lasting ripples caused by his eventual success serve as a reminder: What seems ridiculous today didn’t necessarily used to be, and it might not be tomorrow. Though the ice trade is one of the most definitively obsolete industries ever to make a man rich, in many ways we are still living in Tudor’s world. So read the hand bill that Frederic Tudor circulated around Martinique, according to records housed at Harvard University’s Baker Library and excavated by a group of researchers specializing in the history of accounting. Tudor had cut ice out of a lake in Lynn and packed it below the ship’s water line, using a mixture of sawdust and hay as insulation. An impressive amount of the ice survived the 20-day journey over the Atlantic Ocean. But because there was no place to store it in Martinique, much of it turned into worthless liquid before it could be sold. Tudor lost a small fortune, but also solved the problem. The following year, when he took his business to Havana, he first worked out a deal with the local authorities to construct an icehouse before he arrived. After some more trial and error, Tudor began to turn a profit, and with that, the ice industry was off to the races. By the middle of the century, ice harvested by Tudor and his associate, Nathaniel Wyeth, was reaching the shores of Singapore, Hong Kong, and Calcutta. Copycats with dollar signs in their eyes rushed into the business, and the ice industry quickly expanded; at its height, during the 1850s, roughly 140,000 tons of ice were leaving Massachusetts every year, headed for more than 50 cities around the world. Today, refrigeration is indispensable to our food economy, which is based on the movement of perishable goods across thousands of so-called food miles. 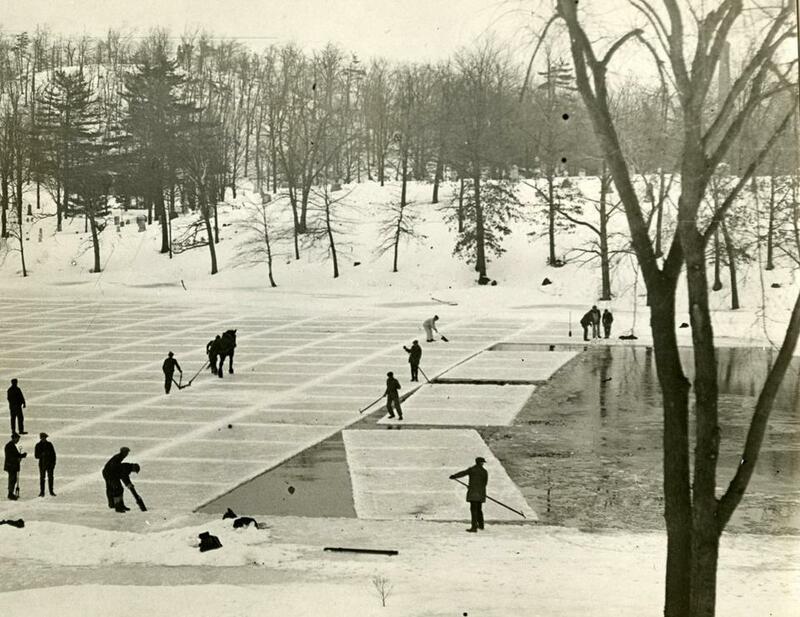 Natural ice harvested from ponds and lakes was the first innovation to make that possible. In her book “Fresh: A Perishable History,” Dartmouth College professor of geography Susanne Freidberg credits Tudor with setting the stage for the refrigeration revolution; as she sees it, the very concept of freshness was turned upside down by the world that Tudor made possible. Before ice, people’s dietary options were much narrower. Each fruit or vegetable made an appearance during harvest and then vanished; foods soured and spoiled quickly during the summer, and simply weren’t available in winter unless they’d been salted, pickled, or otherwise preserved. Tudor took some of the first steps toward exploding those limitations. At various points during his career, he packed his ships with apples, butter, cheese, salmon, and lobster. Today the infrastructure that has grown up around the shipping of perishable food is known as the “cold chain,” a phrase that refers to a series of containers, trucks, and rooms stretching across our commercial landscape and ensuring that, whether it’s fresh or frozen, food can survive to reach consumers. It’s not much of a stretch to say the whole system has Tudor’s fingerprints all over it. 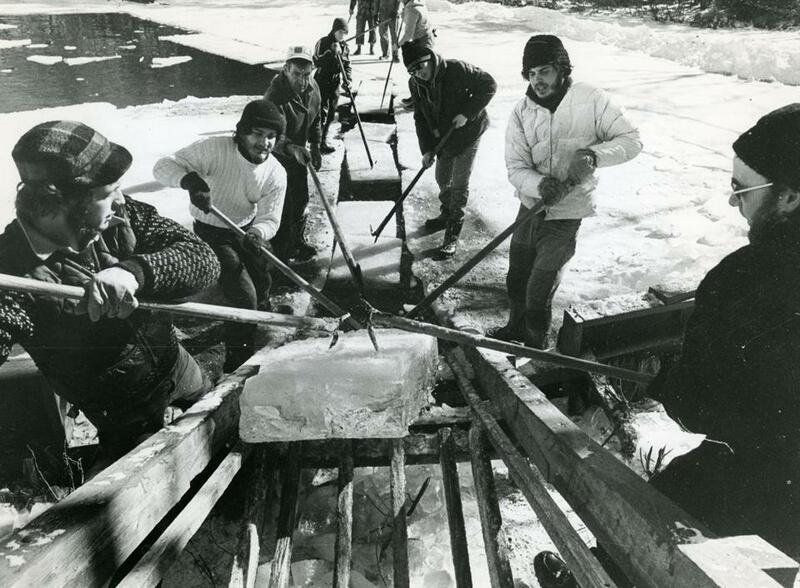 A block heads toward the ice house in 1974 in Maine, where ice harvesting has survived as a community tradition. If its dramatic impact on food can be seen in every kitchen in America, the ice trade has left less tangible, but still substantial, traces in the realm of ideas. A notable federal court decision in Massachusetts involved Tudor’s associate Nathaniel Wyeth, who sued a competitor over copying his design for an ice harvesting machine. The case, in which a judge ruled that a patent claim must describe the mechanism by which the object in question actually works, not just what it does, has had a durable afterlife in the legal system. Mark Janis, a professor at the Indiana University Maurer School of Law in Bloomington who specializes in intellectual property, says he teaches the case to students as part of an introduction to the hotly contested area of software patent law. Hebert writes admiringly of the grass-roots approach by which the locals resolved the problem, by devising an agreement in 1840 that gave individual residents around the pond jurisdiction over a slice of water proportionate to the length of shoreline they controlled. Allowing the locals to reach the arrangement themselves, without interference from the state, should be a model in situations where property rights are conflicted, he says. One place where such a system is currently needed, according to Hebert, is Washington State, where hunters, miners, and lumberjacks are getting in each other’s way while pursuing the various natural resources contained in public forestland. There is something beguiling about identifying the ghostly fingerprints of long-evaporated eras on our own lives: the way albums still clock in at just under 80 minutes, just because that’s how much music can fit on a compact disc, or the way our early port cities remain more cosmopolitan and globally connected, long after their actual shipping industries moved elsewhere. In a story called “The Undertakers,” Rudyard Kipling captured the impact of the New England ice trade on the rest of the world by way of a scavenger stork, who tells the tale of seeing a ship unloading “great pieces of white stuff” and grabbing a chunk of it in its beak when it breaks off. “Never have I felt such cold,” the stork recalls. “I danced in my grief and amazement till I could recover my breath, and then I danced and cried out against the falseness of the world.” As the men from the boat laugh at the stork, the thing in its beak seems, mysteriously, to disappear. Ice melts: It’s one of the first things we learn about the natural world when we are children. But it’s not until we hear a story like Frederic Tudor’s—and then sip a cold Coca-Cola, or open a fridge full of crisp produce from thousands of miles away—that we realize just how much it leaves behind. Correction: An earlier version of this story incorrectly described the reason albums clock in under 80 minutes.